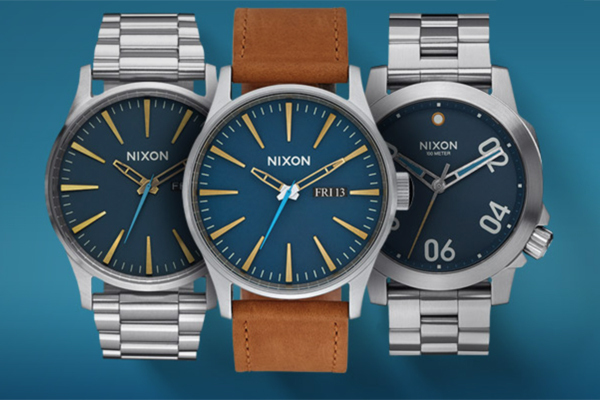 Northern California’s secluded coastline inspired Nixon in creating the Lost Coast Collection: Shelter Cove. Dark navy, shades of grey and a soft blue colour palette evoke rugged cliffs, stormy skies and the path less travelled. Starting at US$155, different models are available, such as the Sentry Leather or the Ranger.